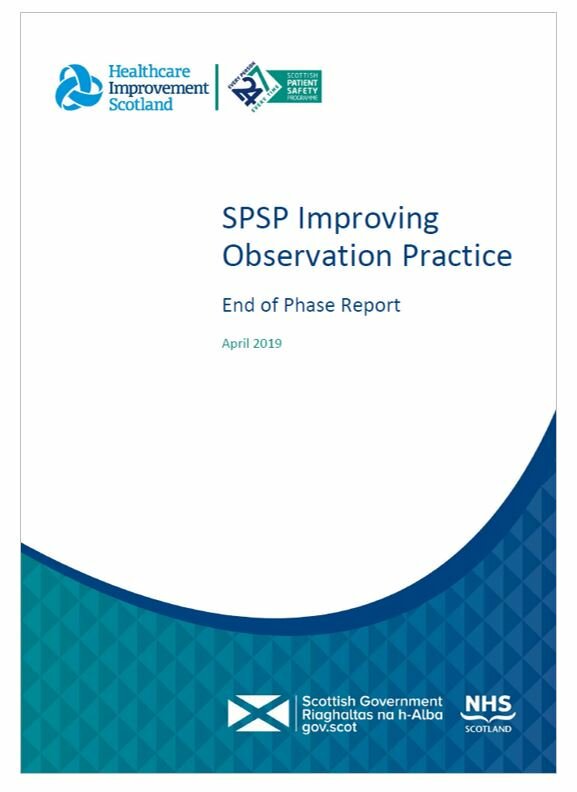 The Scottish Patient Safety Programme – Improving Observation Practice (SPSP-IOP) aims to extend and build on existing good practice in mental health services. In conjunction with NHS test sites, we developed innovative, person-centred guidance that changes the way we respond to the needs of acutely unwell mental health inpatients. A need was identified to improve observation practice in mental health inpatient units. Through observation practice we aim to support services to therapeutically engage with distressed and acutely unwell patients to prevent them from harming themselves or others at times of high risk during their recovery. With the support of six territorial boards, we developed and tested new, ambitious and innovative ways of working and engaging with people to change the response to their care, treatment and safety needs when they’re acutely unwell. It quickly became clear from scoping with these test boards and service users that a radical change was needed in the wider culture and practice linked to observation practice. A service user described how the improvements impacted their care: “I remember the many times that I have been on enhanced observations and how lonely it can feel when the person following me around or sitting beside me to protect me from myself had nothing to say. In fact, they seemed uncomfortable in the space they shared with me. There is something terribly sad [in] that, when at your most distressed and confused, communication can sometimes seem impossible, even with the best of nurses. Greater focus on therapeutic activity as a mechanism for meaningful engagement with individuals requiring observation. The learning from these six test sites, along with feedback from SPSP-IOP leads contributed to new draft guidance in 2017. The guidance recommends that care, treatment and safety planning is steered by the identified specific clinical needs of the individual. In 2017-18, the programme expanded from the initial six test sites to include the 11 mainland territorial boards and the State Hospitals Board for Scotland. All 12 of these boards appointed an SPSP-IOP lead and are actively testing the implementation of the new guidance. *A floor nurse is a registered nurse who performs a variety of duties within a hospital, and often specialises in a particular field, for example, mental health nursing. 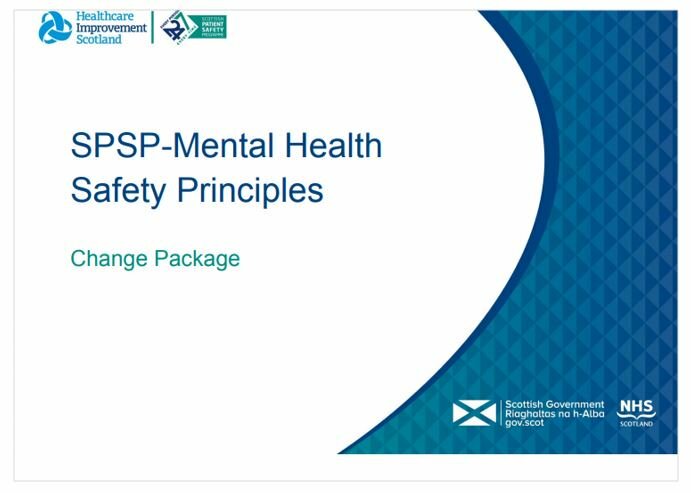 See the Scottish Patient Safety Programme Mental Health web pages for more information on how we aim to make sure people are and feel safe.